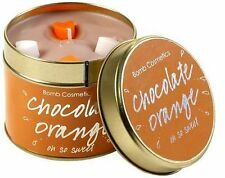 Chocolate Orange tinned Candle. All made using Natural ingredients. 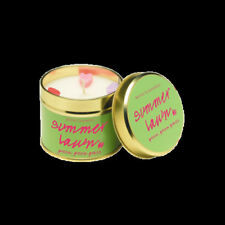 Bomb Cosmetics Tinned Candles Assort Fragrances Express First Class Postage! bomb cosmetics little hotties And Burner. Condition is Used. Dispatched with Royal Mail 2nd Class. STRAWBERRY DAIQUIRI. LOVELY CANDLE THAT IS PIPED IN A GLASS AND LOOKS A BIT LIKE A CUPCAKE. MADE WITH ESSENTIAL OILS. nd CLASS STANDARD or RECORDED. Scented Piped Glass Candle. We have handcrafted this candle, using nothing but the best ingredients with pure lemon and sweet orange essential oils. Scent: Lemon, Sweet Orange. Lemon Drop. Our IBAN and BIC numbers are as follows IBAN is GB46BOFS12248202269299 and BIC is BOFSGBS1BBB. Scented Piped Glass Candle. Scent: Raspberry, Sugar. We have handcrafted this candle, using nothing but the best ingredients with pure bergamot and orange essential oils. Out account details are as follows: Sort Code 12-24-82 Account Number 02269299. Piped Candle - Mojito Mojo. Scented Piped Glass Candle. Put out the candle when 5mm (1/4') of the wax remains. Ensure the candle is kept away from any flammable materials, draughts or any sources of heat (e.g. fires, TV's, radiators). Scent: Citrus, Blackcurrant. Scented Piped Glass Candle. An exciting fruity, Citrus mix scent Piped Candle with pure essential oils. A beautiful blend of rose that is mixed with a touch of citrus, green scents and fresh blackcurrant.We have handcrafted this candle, using nothing but the best ingredients with Pure Patchouli & Amyris Essential Oils. Scented Piped Glass Candle. An exciting fruity mix scent Piped Candle with pure essential oils. Strawberry Tea. Scent: Strawberry, Rose, Orange. We have handcrafted this candle, using nothing but the best ingredients with pure rose and sweet orange essential oils. Strawberry Daiquiri. Scented Piped Glass Candle. An exciting fruit sweet mix scent Piped Candle with pure essential oils. Out account details are as follows: Sort Code 12-24-82 Account Number 02269299. Scented Piped Glass Candle. An exciting fruity mix scent Piped Candle with pure essential oils. Scent: Pineapple, Strawberries, Pear. Out account details are as follows: Sort Code 12-24-82 Account Number 02269299. Scented Piped Glass Candle. An exciting fruit mix scent Piped Candle with pure essential oils. Scent: Grapefruit, Mandarin. We have handcrafted this candle, using nothing but the best ingredients with pure grapefruit and mandarin essential oils. Scented Piped Glass Candle. An exciting floral mix scent Piped Candle with pure essential oils. Scent: Pure ylang ylang, bergamot. We have handcrafted this candle, using nothing but the best ingredients with Pure Ylang Ylang & Bergamot Essential Oils. Fruit Firework. Scented Piped Glass Candle. An exciting fruity mix scent Piped Candle with pure essential oils. Out account details are as follows: Sort Code 12-24-82 Account Number 02269299. Our IBAN and BIC numbers are as follows IBAN is GB46BOFS12248202269299 and BIC is BOFSGBS1BBB. 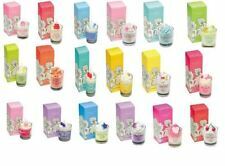 Bomb Cosmetics Piped Glass Candles Boxed Fragrances Express First Class Postage! Piped Candle with pure essential oils. We have handcrafted this candle, using nothing but the best ingredients with Pure Sweet Orange and Litsea Cubeba Essential Oils. Scented Piped Glass Candle. Out account details are as follows: Sort Code 12-24-82 Account Number 02269299. Our IBAN and BIC numbers are as follows IBAN is GB46BOFS12248202269299 and BIC is BOFSGBS1BBB. Scented Piped Glass Candle. A fun, fruit cocktail mixing floral scents, mango, strawberry, pineapple and pears with a tropical breeze. Piped Candle with pure essential oils. We have handcrafted this candle, using nothing but the best ingredients with Pure Ylang Ylang & Geranium Essential Oils. Fragrance: ripe peachy fragrance with pure mandarin & ylang ylang essential oils. Jelly Candle with Pure Mandarin & Ylang Ylang Essential Oils. We have handcrafted this candle, using nothing but the best ingredients with pure mandarin & ylang ylang essential oils. New and complete with box. LOVELY CANDLE THAT IS PIPED IN A GLASS AND LOOKS A BIT LIKE A CUPCAKE. MADE WITH ESSENTIAL OILS. nd CLASS STANDARD or RECORDED. Bomb Cosmetics. Little Hotties Melt Warmer And Melts Gift. Jelly Candle - Powder Puff Girls. Scented jelly candle in a clear glass container. Fragrance: soft powdered rose with sweet vanilla notes. Unifying soft powdered rose with sweet vanilla notes for a feminine flurry of fragrance! LOVELY CANDLE THAT IS PIPED IN A GLASS AND LOOKS A BIT LIKE A CUPCAKE. FRANKINCENSE AND MYRRH. nd CLASS STANDARD or RECORDED. Blueberry Sundae. Scented Piped Glass Candle. An exciting fruity, sweet mix scent Piped Candle with pure essential oils. Out account details are as follows: Sort Code 12-24-82 Account Number 02269299. Scented Piped Glass Candle. Festival Dreams. Scent: Red Berries, Cherry, Warming Amber. A unique, free-spirited & vibrant fragrance with red berries, cherry and warming amber. Out account details are as follows: Sort Code 12-24-82 Account Number 02269299. Crisp notes of sparkling wine with a sweet drop of juicy peach to leave you bubbling with Mandarin & Grapefruit pure essential oils. This candle will burn for 30 to 35 hours. Extinguish the candle when 5mm (1/4') of the wax remains. Scented Piped Glass Candle. An exciting festive scent Piped Candle with pure essential oils. Gingerbread Cookies. Out account details are as follows: Sort Code 12-24-82 Account Number 02269299. Our IBAN and BIC numbers are as follows IBAN is GB46BOFS12248202269299 and BIC is BOFSGBS1BBB. Redcurrant & Cassis. Scented Piped Glass Candle. An exciting fruity mix scent Piped Candle with pure essential oils. Sharp red berries blended with ripe and juicy blackcurrants to create this fruity punch with Geranium & Sweet Orange essential oils. Scented Piped Glass Candle. An exciting fruity mix scent Piped Candle with pure essential oils. Scent: Coconut, Ozone. Out account details are as follows: Sort Code 12-24-82 Account Number 02269299. Scented Piped Glass Candle. Scent: Cherry, Raspberry, Strawberry. Wild Cherry. We have handcrafted this candle, using nothing but the best ingredients with Pure Sweet Orange & Litsea Cubeba Essential Oils. Bomb Cosmetics Vanilla Honey Candle - NEW! Bomb Cosmetics Cotton Fresh Candle - NEW! Joblot x 2 Bomb Cosmetics "Paint Tin Candles"